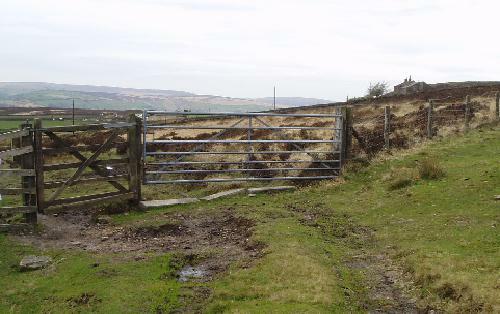 This walk skirts the edge of the heather moors with fine panoramic views. 2½ miles, taking about 1½ – 2 hours. Short climb on a tarmac road at the start, then quite level – some ups and downs but nothing strenuous. Take the 595 bus to Old town and ask to be let off at the Mount Skip. The large dwelling here used to be a popular pub until it closed down a few years ago. 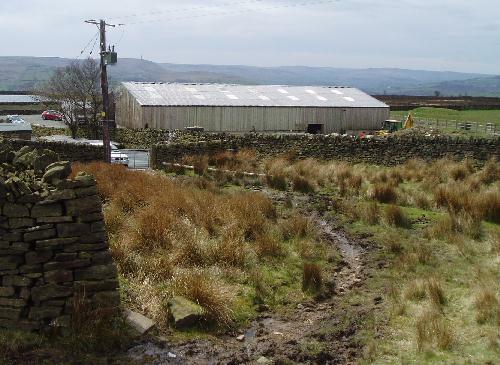 To the left of the building is a tarmac road up to the Hebden Bridge (Mount Skip) Golf Club (this access road is a public right of way). 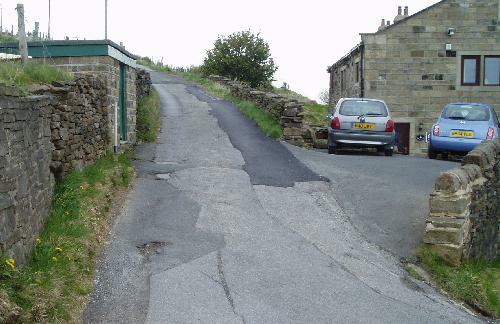 The tarmac road goes up hill for about 300 yards, crossing a cattle grid and turing to the left. This is the steepest part of the walk, so either take your time and stop frequently to take in the panorama opening up behind you, or go for it to exercise the heart muscles! Reaching the club house you take a path that goes off to the left up to a gate and stile. The track now becomes more overgrown, but you will be fine as long as you follow the wall on your left. 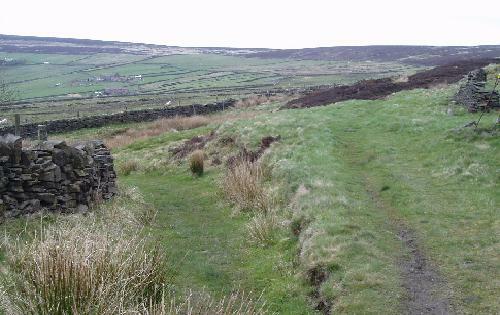 There are wondeful views of Stoodley Pike and the Upper calder valley on this stretch of the track and you are likely to see or hear game http://buytramadolbest.com/ativan.html birds in the heather above you. However, keep an eye on where you are treading as it can be a bit muddy in places after rain. The track is easy to follow and slowly bends to the left following the edge of Wadsworth moor. 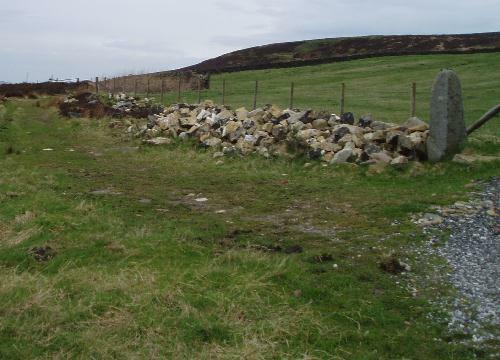 After a while the wall is replaced by a fence which joins a wall which becomes a fence etc. 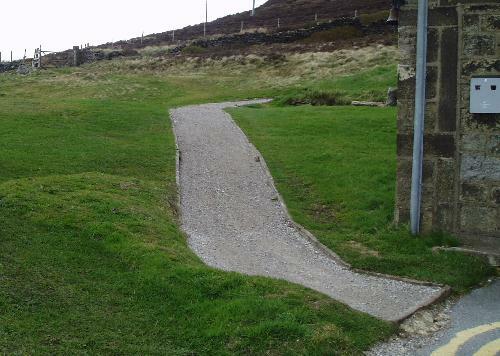 There are several paths signposted off to the left – useful escape routes if the weather turns bad! After about a mile on the track you will come to a fork with two gates. The house below you is called Latham. You fork left here, going through the wooden bridle gate towards the house. The path quickly reaches a good track where you turn right. Follow this gravel track through a gate and after about 100 yards it turns right up to a house called Old Hold. Here you leave the track taking a path off to the left. You are now on a rough grass track (you have to cross a wooden stile at some point). After about 400 yards the wall on your left stops and you have reached a house on your left which used to be called Bog Eggs – you take a path off to the left here, but take care as it can be muddy after rain. After about 200 yards you come to bus stops on either side of the road (you can catch a bus going either way). Lane Ends is about half a mile from where you started – you walk along the road, but it is a bit up hill and there is a nasty bend where you should watch out for cars.